Good Monday morning and welcome to another Buffalo Stamps and Stuff Monday Idea. I got this idea from an Aussie blogging buddy, Debbie P, thanks Deb! You can also print other size calendars if you wanted to use it as a background paper. 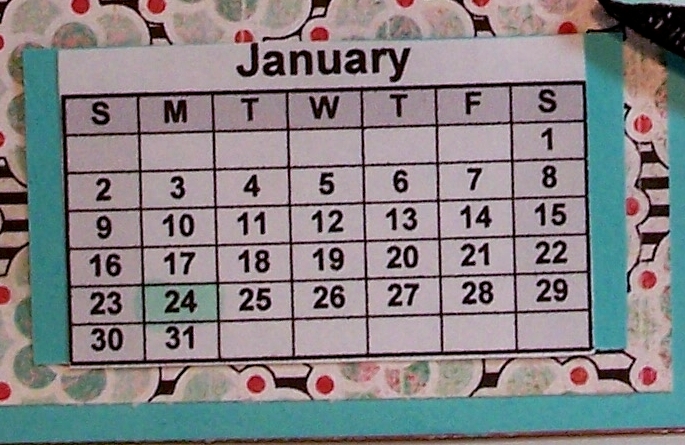 You can highlite the special date that the calendar represents. The papers I used are Basic Gray. The die cut is Tim Holtz and I ran it through the candle cuttlebug embossing folder. The adorable image is Whipper Snapper. I stamped the cupcake portion and the pom pom on the hat twice and popped them up. The cupcake border is EK Success. The sentiment is a die cut by cuttlebug. Here is a close up of the birthday cutie. This is a fun way to put a special day on a card. Kids and adults will love it! 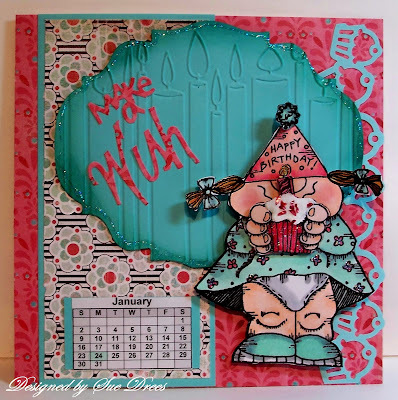 This is so darned cute...what a fun fun image and such a fun layout...I must get that punch too...very cool! hahaha you card give me such a giggle. whow what a gorgeous card!! love the embosfolder!! What a fantastic idea Sue! 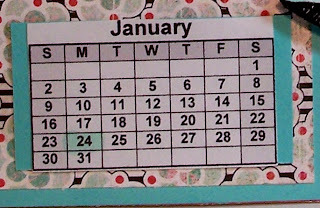 I love the idea of highlighting the day! 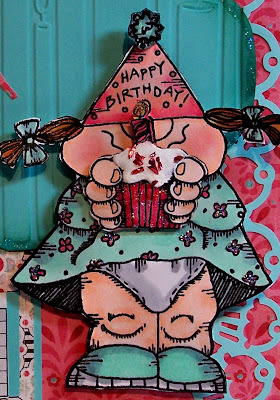 I love your layout on your card...Very nice Sue! Hope you are keeping warm! What a cute idea! Great card, very, very cute. Thanks for that link too! 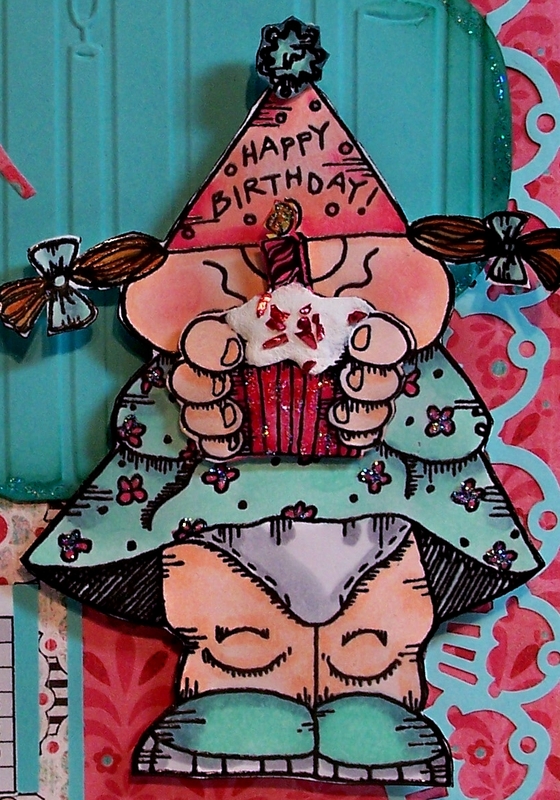 This is a very cute card :-) and I love the papers you've used.